The Brown Palace Hotel and Spa in downtown Denver. 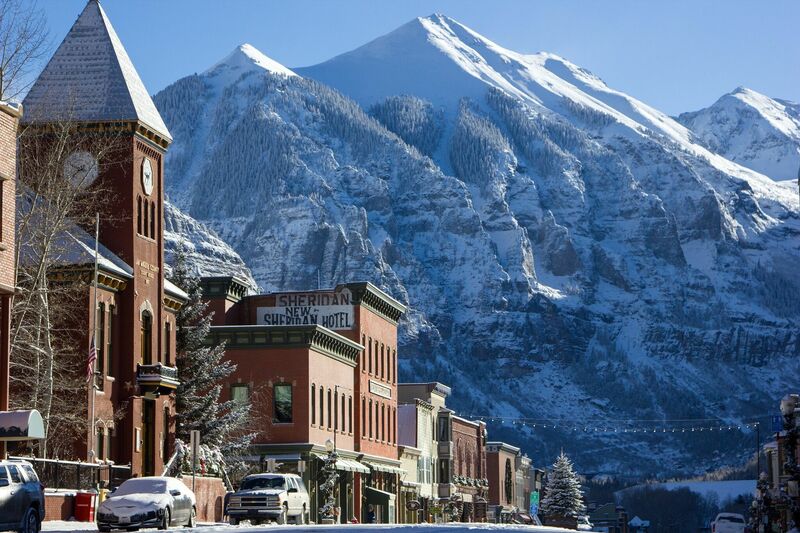 As my family poured into what our Enterprise liaison described as a “hot little Volvo” at Denver International Airport, we soon learned that I-70, the highway that would take us to our ski destination, Keystone, in Summit County, was closed due to a snowstorm. 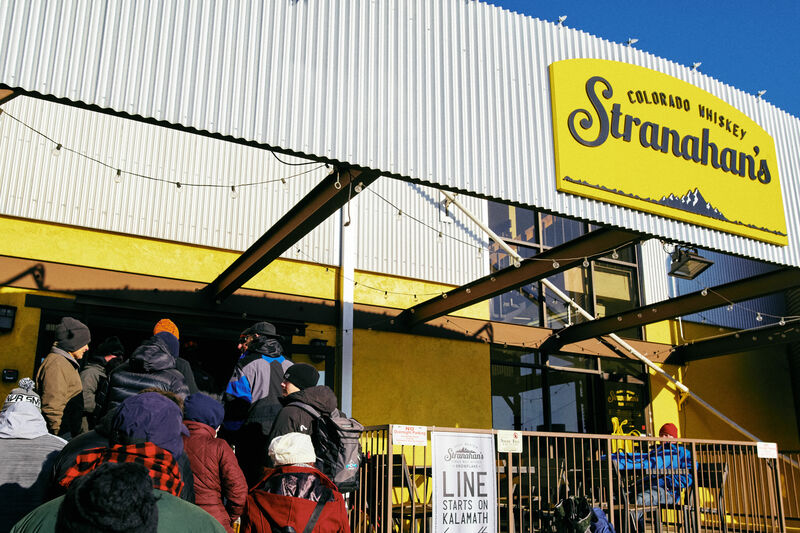 An overnight stay in Denver was in order. Thirty minutes later, we shuffled through the revolving doors and into the buzzing lobby of The Brown Palace Hotel and Spa in downtown Denver. A stay at this Victorian-style hotel is like going back in time. 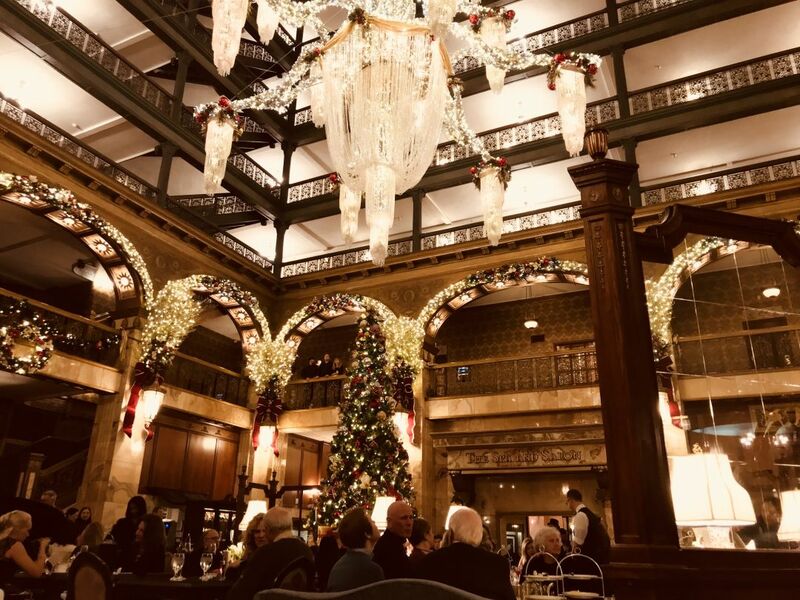 Originally built in 1892 by real estate entrepreneur Henry Cordes Brown, The Brown Palace is one of the first atrium-style hotels ever built. It has housed numerous presidents, rock stars and even a crime boss or two. 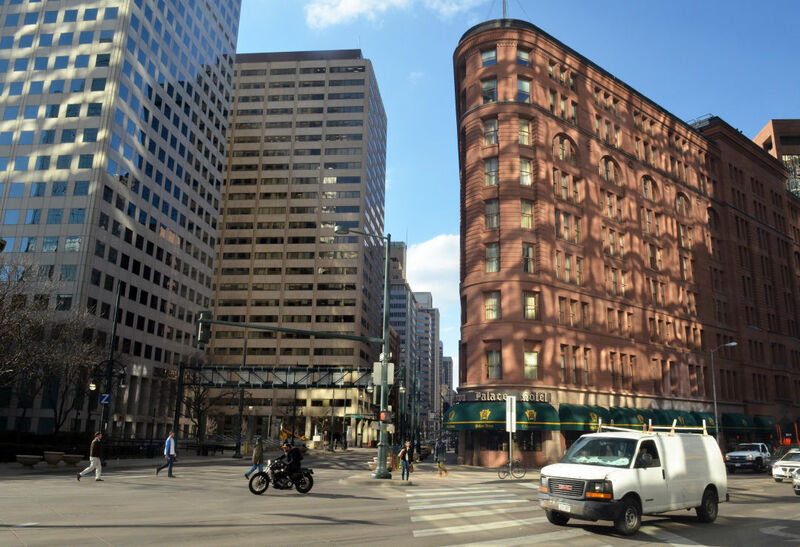 While Denver’s famous socialite “The Unsinkable” Molly Brown is not affiliated with the hotel, she did stay here just a week after surviving the sinking of the Titanic, and her home—now a museum—is located just a few blocks away. The atrium at The Brown Palace. 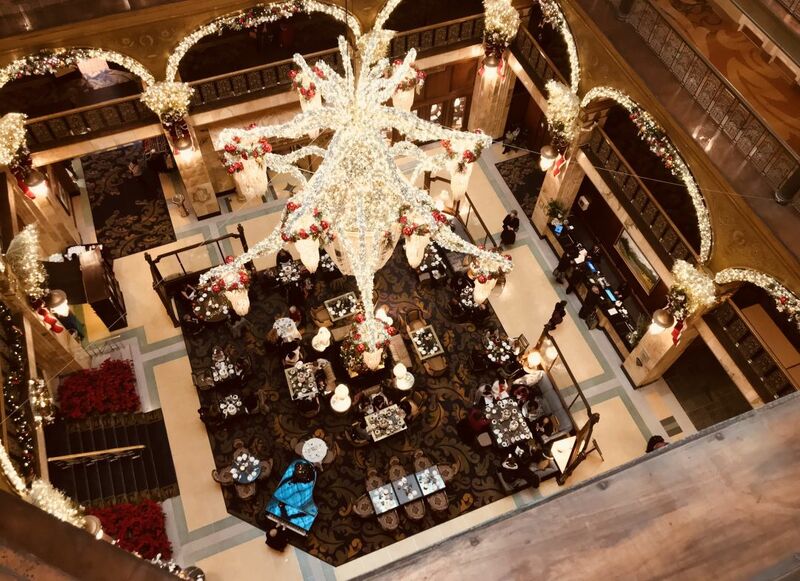 The atrium, on this December day, was alive with guests enjoying afternoon tea service, a four-piece band, old time carolers and an outstretched chandelier so striking it’s worth the neck cramp. While the bedrooms and amenities have been enhanced—and a hotel spa was added in 2015—the enchanted sense of history is evident in cast-iron railings, light fixtures, murals and little touches that are fun to discover. Because of the unique triangular design (The original lot sold to Brown was also triangular) the interior feels grand yet intimate. Dinner or cigars at The Palace Arms and Churchill Bar, respectively, are highly recommended. Regimental banners line the interior of the restaurant, along with many Napoleonic-era pictures and even a pair of his dueling pistols. You can expect French service, tableside Caesar salads, beef Wellington, and a wine list as thick as a phone book, which houses all the Chateaus worth mentioning. If you’re feeling more adventurous, try the chef’s four-, six-, or eight-course tasting menu. The Ship Tavern Bar, which opened immediately after Prohibition, is a fun place to have a night cap. Grand chandeliers and relaxing tea times are in store. If you have time, afternoon tea is a must. It has been sipped here in the same way since the early days of the hotel—think finger sandwiches piled on three-tiered servers, antique silver and fine china, all enjoyed from brocade love seats and velvet sofas. You could easily lose an hour meandering around the lobby gazing at interesting artifacts held in large glass cases. Also, the hotel is haunted. Our concierge, while discouraged by hotel management to divulge ghost happenings, did note that "because when we first opened , we sold tickets to the train. The ghost that is seen the most is a train conductor.” She also mentioned that the hotel historian won’t take tours in a certain area of the eighth and ninth floor skyline apartments, because she’s had such negative reactions from a lady ghost. 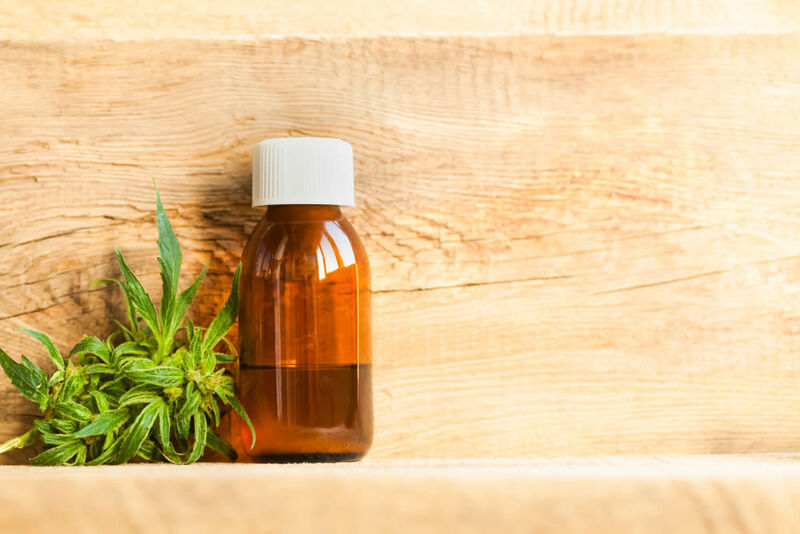 A short walk away from the Brown Palace and just a block east of the Colorado State Capitol lies a cannabis clinic named Good Chemistry. 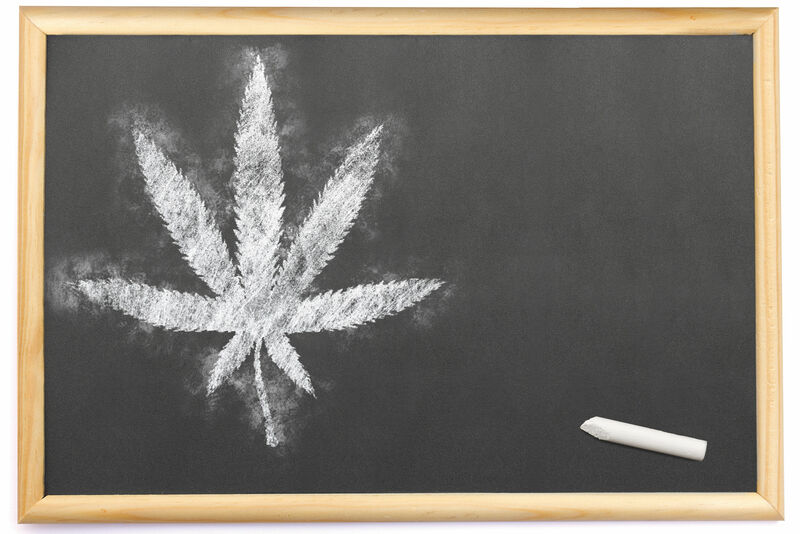 In fact, there are 12 cannabis clinics located within a two-mile radius of downtown Denver. To gain admittance you must show your ID first to the “bouncer” behind the glass and second to your cannabis sommelier. He suggested Amnesia Haze, and let me sample the goods by smelling. I bought an eighth which cost $36. 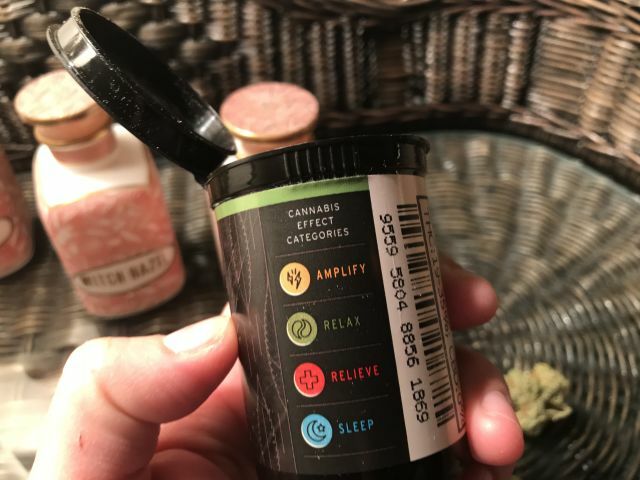 He loaded it into a plastic black tube labeled with the name, class (sativa) and effects (relax, relive) and a “keep out of reach from children” warning. The process was easy and quick, taking a grand total of eight minutes. Be advised, you’re allowed to consume marijuana on private, but not public property. Fortunately, my best friend Meg from college lived nearby. The next day, the roads were cleared of snow and we were able to journey on to Keystone, just under a two-hour drive away. But not before I tried out the Brown Palace's 24-hour room service. I recommend the onion rings.